The U of M community is making more sustainable choices when travelling to and from campus. According to a survey by the Green Action Centre, while 29 per cent of students, staff and faculty were taking transit to and from their primary campus from September to April 2016, that number jumped to 44 per cent in 2018. Driving alone as a mode of travel to and from campus subsequently dropped from 46 per cent in 2016 to 32 per cent in 2018. Despite this, the survey reported a drop in the number of surveyed people who were biking to and from campus. While five per cent of people surveyed were biking in 2016, only three per cent were in 2018. However, UMCycle Bike Kiosk manager Anna Weier said even in the past year the kiosk saw a significant increase in the number of people bringing in their bikes. “We definitely noticed, between the first summer that we were open, like last summer, and this summer that we did way more business this summer,” Weier said. 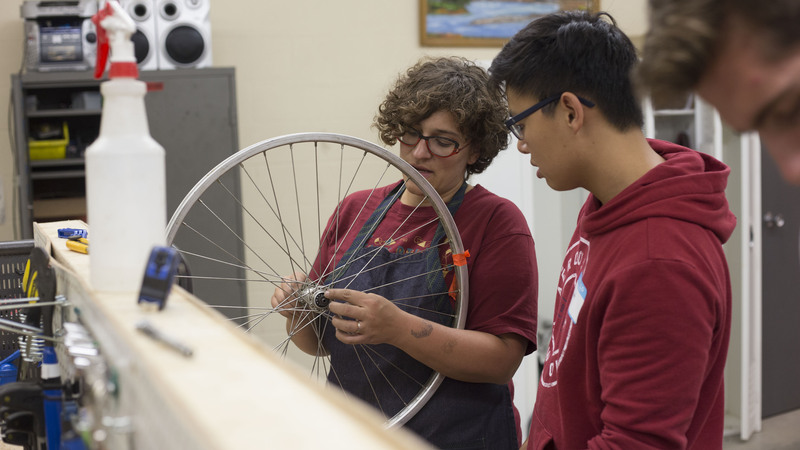 UMCycle, which is operated by UMSU, is a full-service bike repair centre which also provides workshops on bike maintenance. While the service is open to anyone, Weier estimates that over half of the people who bring bikes are students, and another 25 per cent are staff and faculty. Weier added that the kiosk’s busiest months were during the summer term, despite the lower number of students on campus. “A lot of them seem to be cycling,” she said. The UMCycle Bike Kiosk opened in 2017 and replaced the University of Manitoba Recycling and Environmental Group (UMREG) Bike Dungeon at the UMSU University Centre. Weier said that the lower number of students cycling may be caused by an issue with city infrastructure. “A big part of it, I think, is cycling infrastructure in the city,” she said. Weier also referenced the prevalence of bike theft on campus as a possible deterrent. “A lot of people have talked about having [their] bikes stolen, and there aren’t a lot of good options in terms of locking up bikes,” she said. 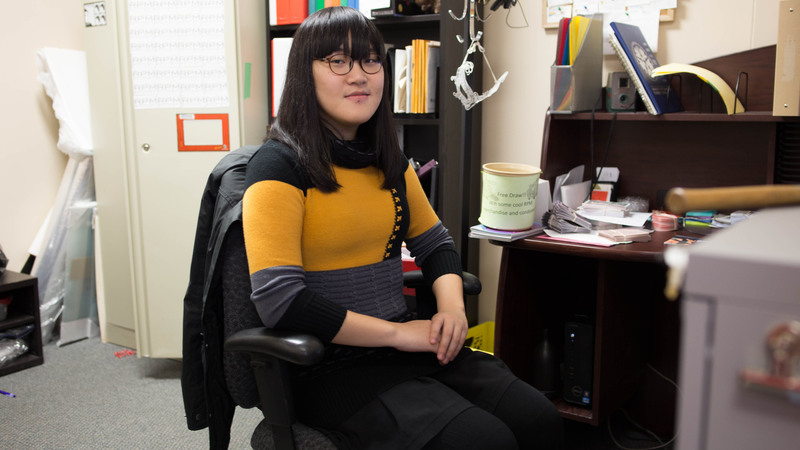 “There’s bike racks everywhere, which is great, there are the lockers, but there’s only about 15 of them on campus and they’re rented out by semester, so if you don’t get one then your only options are locking outside, or locking in the parkade lockup, but I’ve also heard a lot of thefts have happened out of the parkade lockup as well.